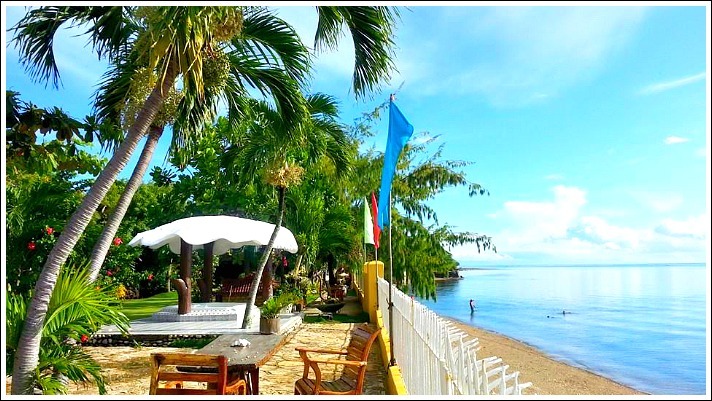 Argao of Cebu Province is one of the most popular destinations among beach and vacation lovers. It is a fantastic getaway to enjoy beach life: swimming, sunbathing, snorkeling, scuba diving, island-hopping, among other vacation and water activities. 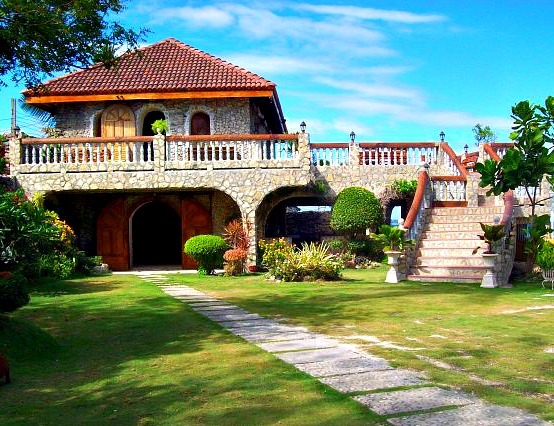 In Argao, the Baluarte is one of its popular assets. Visitors come to enjoy this resort’s ambiance—serene and nice environment accompanied by the refreshing cool sea breeze. More, being nicely located with fantastic views around, the resort offers facilities for social gatherings and events, such as wedding ceremony, birthday celebrations and other social functions. There’s an old Catholic church built during the Spanish period which is still being used today. Visitors come to see this structure and to enjoy its historic value while others come to pray or attend special religious ceremonies, including weddings, baptisms, or funerals. 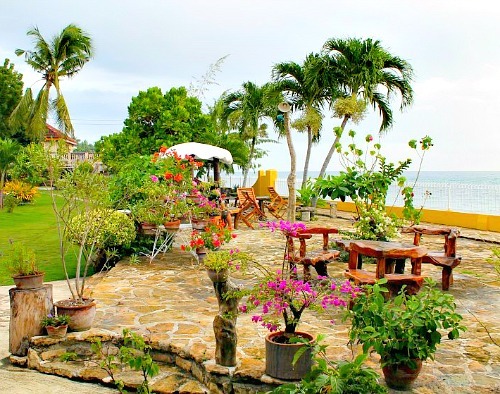 Through this church, San Miguel de Archangel, you can find your way to the amazing beach of Argao and to this resort. Saint Michael the Archangel Church was established on October 16, 1733. It is one of the oldest churches in Philippines. 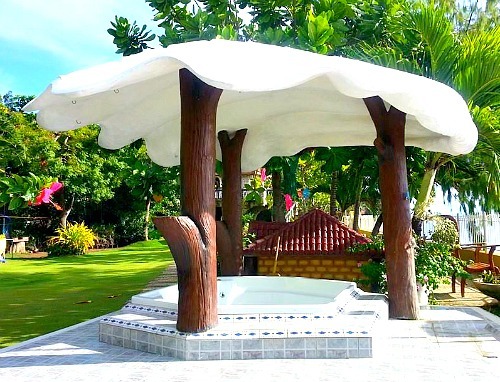 The structure is built with solid coral stones found everywhere on the island. The interior is painted with elaborate wall paintings depicting biblical story scenes, such as the endless battle between angels and demons, among other wall arts and religious symbols. You will notice that on the right side of the parish church lies the Hall of Justice, across it is the municipal hall, on the left side is the hospital and at the center is the town’s plaza. This natural park is being promoted by the local government for locals and visitors to enjoy with. It has a canopy walk wherein you can enjoy the view of the place and its surroundings from above the ground. This is interesting especially for those who love stories about dragons, prince, princesses, and castles. Surely, your kids would love this place (if you have one…). Inside the facility you can also buy some drinks and other refreshments to quench your thirst. This resort is not a 5-star hotel resort facility; however it provides good services and facilities to its valued guests. For those groups who want to do something formal, you can have a meeting, wedding reception, birthday party, reunion, and other medium range event at their meeting facilities. Starting at PhP3,500 for a maximum of 50 guests (excess charge is Php50 per guest) is the function room’s rate. Surely, there are more to this resort than our words can describe. Staying in this resort would be nice due to the refreshing sea breeze, views, and serene environment of the town itself. Basically the rooms of this resort are air-conditioned. Reaching this wonderful and historical place is not hard to do. Please, make use of the contact details or address indicated below for any inquiry you might want to make. You can take a bus from Cebu South Bus Terminal in Cebu City. It will take more than 2 hours to reach Baluarte Resort. Surely, a private vehicle would take less than 2 hours to reach with much convenience and freedom. Air-con bus ride is also preferred by many, especially during hot summer season in March to May. Now, if you haven't been to Cebu yet in your life, you may take any ship from mostly available shipping companies that crisscross the Philippine waters, or you can also fly from various regions domestically or/and internationally by using this guide link page Getting to Cebu. Thanks for scanning through and reading until this part. Hope this helps you find your ideal vacation or event venue. Have a wonderful vacation and keep safe in your travels!